Methodist Healthcare Ministries grant funding is now available to offset the costs of neurofeedback treatment for clients 18 years old and younger who qualify. Please contact us at 210.616.0885 for more information. The Ecumenical Center is one of the first providers of neurofeedback in San Antonio. We provide neurofeedback services to clients of all ages. Also known as EEG Biofeedback and neurotherapy, neurofeedback encourages the brain to restore or establish a more stable and holistic functioning, thus improving mental, emotional, and physical health. Behavioral psychology calls the principle “operant conditioning of autonomic responses.” Neurofeedback uses something similar to teach you to vary your brainwaves – producing more “alert” waves, for example, and fewer “anxiety” or “sleep” waves. Neurofeedback is complementary to existing medical treatments and mental health practices. Neurofeedback works. But how? 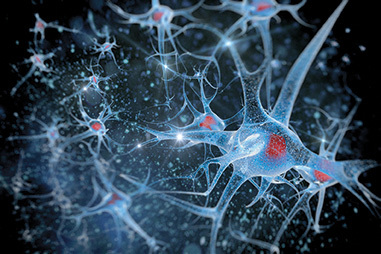 One hypothesis is that your neurons (nerve cells that transmit information) become healthier and dendrites (the branch-like connections between brain cells) grow denser and greater in number. Why? Because the training activates your brain in a way that causes more blood to flow to particular areas, strengthening connections and thus transferring information better. Actually, scientists think this happens during any learning process – neurofeedback is just especially efficient at it. And since every aspect of a person is driven by neurons, the healthier your neurons are, the healthier the functions they govern. Neurofeedback can help you identify strengths and goals – and from there, you can work to optimize brain function for peak performance. It can help even young people better understand emotional states, learn to release ineffective response patterns, and respond in positive and constructive ways. However, neurofeedback does require a commitment of enough time to be truly effective. Moderate problems are usually alleviated in 20 half-hour sessions done twice a week. More serious problems (depression, bipolar, autism, etc.) require significantly more sessions. An interview with a trained clinician is required for a proper assessment. Primary Care Physicians can often make an accurate diagnosis of various mental health issues. A professional who specializes in psychological treatment may also be needed to assess the true nature of a disorder or syndrome. Good neurofeedback treatment begins with thorough assessment. Symptoms provide significant guidance in selecting the best training protocol, but other measures are sometimes needed. More serious problems and complex clinical issues will require a Quantitative EEG (qEEG) at an additional cost. Attention Deficit Hyperactivity Disorder (ADHD) is one of the most prevalent and widely researched diagnoses of U.S. children. Often accompanied by a specific learning disability, ADHD can make it very difficult for a child to succeed in school. Diagnosis depends on a complete evaluation, which includes testing, by a mental health professional. At The Ecumenical Center, we offer comprehensive evaluations for ADD, ADHD, and learning disabilities. Our experienced clinicians will assess the type and severity of your child’s condition and recommend a tailored treatment plan.